Camber Option: Camrocker. Camber under foot with rocker in the tips. Conditions: A storm moved in dumping up to an inch an hour. The snow below that was firm and fast with patches of ice. Flex: For a freeride flex it’s somewhere between middle of the road and death plank. This made me work for it when pushing the board, but still was stable. The torsional give wasn’t very abundant. Stability: The flex of this board coupled with the camber profile made for a very smooth lively ride. Pushing through chunder and death crust it never wanted to buckle, but going over groomers you could feel the more noticeable variations in the snow. Ollies/Pop: You really have to be on point to snap this board. So load up the camber and use that leg strength to get the pop you want. This board is most at home going as fast as possible and popping off features. Butterability: I wouldn’t recommend it unless you’re looking for a serious work out. This board makes you work a bit for it. Carving: The mellow Magnetraction grips well on firm snow as well as slush. When railing a turn you do have to center flex the board a bit more than others to drive the edge in, but once you do be prepared to rip a long hard turn. The spooned tips give an easier entry to turn initiation, this is most prevalent in softer snow. Rider in Mind: The guy that’s charging almost all the time and likes to rip hard carves. Personal Thoughts: This board pushed me to the limit when doing long hard drawn out carves. This isn’t the most nimble board, but what it lacks in nimbleness it makes up for in its ability to plow through anything. This is a hard charging solid ripping board. Check out the past reviews of the 2011 Jones Flagship and 2017 Flagship. This board was loaned to us for review from Jones Snowboards. I need to ask the same question for this…In your experience, what did you find better suited for hard/icy conditions between the Jones Aviator and Flagship? Thank you for all your help/feedback. Need recommendation on sizing. 5’10 240lbs 10 boot. 164cm or 166cm? 164 has 254mm waist and 166 has a 258mm. More concerned with width than length. Thanks. HI, cheers for the review, it’s nice to hear everything I wanted to hear. I’ve got one of these boards on order, and currently own a set of K2 Lien AT bindings. Would you say they are a good match? Did you play with the different colour pods and base plate to dial it in, or do you do the same as me, red pods and base plate for all conditions? Thanks dude, really appreciate what you do. Honestly no, they’re too surfy. To answer your other questions no, no, and pad plus pods all the way. Looking for some advice. Currently ride a 2012 Flagship 164 with Rome 360 Boss bindings. I ride in the PNW, wide open, trees, steeps and a mix of conditions. Only hit the park when chasing my kids. Pretty much locked in on Jones + Now but trying to decide between Flagship+Driver or Explorer+Pilot. Are you a rad dad that charges hard when the kids aren’t around and wants to push it? If you answered yes then Flagship and Drives. Or are you a more laid back dad that just wants to have fun chasing the kids most days? Yes, then Explorer and Pilots. Thanks for the quick reply. Rad dad for those days when I get to go solo. And the kids won’t be kids for long. Hi Angry looking at getting either a 158 or 161 flagship. I’m 5-11 175lbs with size 9.5 boots. Currently ride a 157 mountain twin. I ride mammoth mostly with trips to Jackson hole, Montana, and Colorado. Either size will work with you just fine. I posted a question about Flagship or Explorer last week. Did it come through ok? Looks like my Q didn’t get through before. I’m wondering Jones Flagship or Explorer? I’m 5′ 7″, 160, size 10 boots. 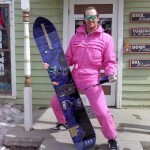 I’m looking for a board to bomb groomers, ride powder (when we get it) and like to ride trees too. My board now is a Never Summer Proto Type 2. Rod a Burton Custom 156 before that. Size is also a question. Looks like the waist width on the Flagship 154 would be too narrow for my boots. Flagship 158 or Explorer 156 or 159? Thanks for the great cut to the chase info! That Explorer is going to be softer than your Proto T2. Flagship would be the more natural progression to go with it. Snag that 58. Would Malavitas work well on the flagship or should I be looking at something stiffer? I’d go stiffer potentially. Maybe a Genesis or Genesis X if you’re going Burton. 5,8 180lbs 158 or 154? What’s the deal with Jones Traction Tech? I get that it’s magnetraction but what is the difference between the 1.0, 2.0, 3.0 that Jones uses to classify. Are there more contact points? Or are the points of contact just more pronounced as the number goes up? It’s just how pronounced it is. Quick question. I ride a Krypto 168w and a Jones Hovercraft 164 on days when it serves me best. I’m 6’4 and 240lbs, would the 172 flagship be too much board? Is the 169w a better choice? I’m on side 12 Insanos. Thanks! It’s just going to overlap your Krypto.